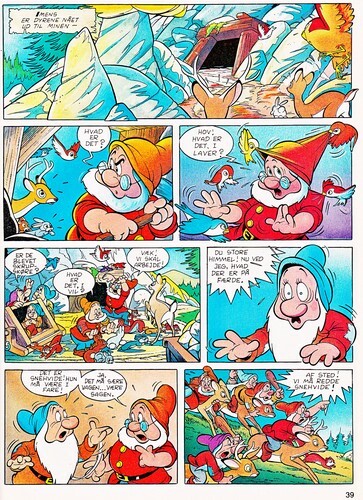 Walt Disney Movie Comics - Snow White and the Seven Dwarfs (Danish 1992 Version). 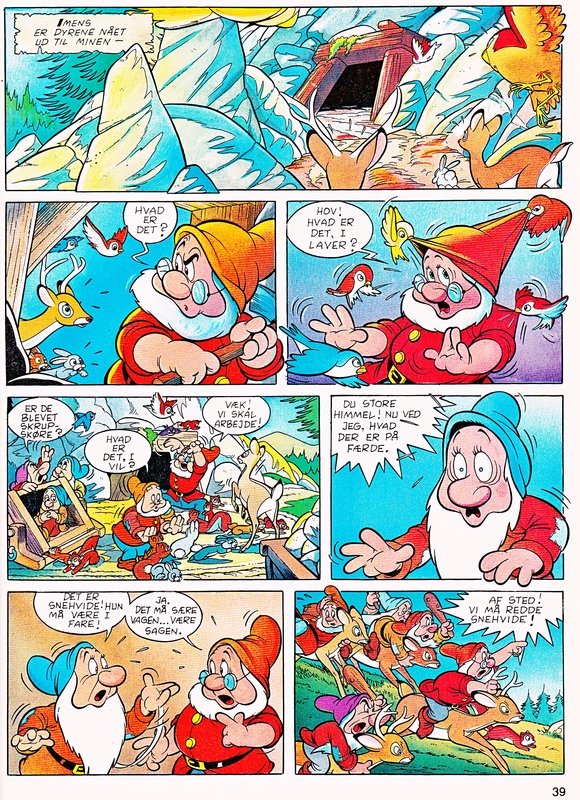 Page 39 of the Official Walt Disney Movie Comic of "Snow White and the Seven Dwarfs" (1937). HD Wallpaper and background images in the personnages de Walt Disney club tagged: walt disney characters walt disney movie comics snow white and the seven dwarfs dopey happy doc sleepy sneezy grumpy bashful.